FQ: Bubbie was a huge part of life (quite obvious from the book): What is one lesson that you take from her? LAZEGA: That extreme people shine in extreme times. The very characteristics that made Bubbie unmanageable in the modern world (a singular focus, an unbending refusal to do as she's told and an inability to comprehend the word “no") made her able to do the things that so many others couldn't in times of chaos. Like Bubbie,I guess I’ve been successful in life becauseI just didn’t know any better. FQ: Bubbie asked you to write her stories down, but when did that actually begin…and how? Was there a catalyst to beginning? LAZEGA: People often ask me, “So what made you decide to write her story?” and I have to chuckle and answer “Like I had a choice?” From the time I could first hold a Crayola Mango Tango she’d been telling me “You got to write down dis book — a million dollars they’ll pay you for it. Forget vhat dis mashuginas (Jewish for “bozos”) sell on Oprah. Mine life got a better story. Vhat I did to survive and bring mine children here to dis country.” So many of our parents and grandparents (especially immigrant families)impart their incredible sagas of struggle — mine just handed me a pencil and said “Now listen good and write." Believe me, it stuck and I’m glad that it did. FQ: Bubbie loved President Reagan, may I ask what she would say about a “Trump” in the White House? LAZEGA: Of course, she only liked Reagan because she had a theory that he was her long-lost brother. Otherwise, like many immigrants, she was fiercely loyal to the party that she saw as opening the door to her family's freedom (in her case President Roosevelt and the Democrats) so I expect we'd have heard something like "Oy, he's got such a big mouth that one? Ach, and that shmata ("rag") on his head. Oh no, I von't vote for him. Ve need a voman running tings here." FQ: The research must have been incredibly interesting when it came to the telling of her locations during WWII. Are you personally interested in history/historical tales? LAZEGA: I am fascinated by history and had a rare opportunity to see many of the sites when my family was honored with an exhibit at the French holocaust museum at Camp Desmilles. This is the place where my grandfather was interned during the war (and where my grandmother later launched his escape). It was an abandoned brick factory that the Germans had converted into an internment camp. Thousands of France’s Jews, intellectuals, gays, and anyone else the Nazis hated were warehoused there to await deportation to the death camps. Nobel laureates and world-renowned artists slept by the dozen in soot-covered 12’ x 12’ brick ovens. To say it made an impression is an understatement. FQ: How long did the research take to put this book together? LAZEGA: It's a story about a lifetime so naturally writing it took what feels like a lifetime. I started the project in 1998 with just some scribblings that I pushed on to an author friend who then pushed it on her agent who by the weekend was faxing me a representation agreement. 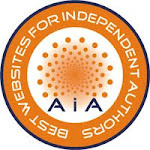 From there it started to snowball and big publishing houses were showing interest . . . in my writing but not my story. "We love the writing but how do we sell this very ethnic story in Kansas?" they answered. Years later I decided to dust it off and give it another go and what I have learned from the process is that the publishing industry is far more narrow-minded than middle America. People in Kansas and other parts really DO want to hear stories that aren’t their own — as long as the stories are good. FQ: It is extremely difficult going from humor to drama in a book – fiction or non-fiction. Was it easy to do this so seamlessly because it was a personal subject, or was it a case of trial-and-error, being the first time you have written? LAZEGA: I think Mark Twain once said, “Comedy is tragedy plus time” and I think that rings true here. Life is full of joy and adversity. What people do with adversity and how they look back on it is what makes some people the things books are made of. FQ: Do you have a mentor when it comes to writing? LAZEGA: My Grandma Ana was the bookseller who never read a book and, sad to say, I’m kind of the book writer that hardly ever read a book. I am a big fan of Mark Twain, though. He had the kind of wit that you just can’t replicate these days. FQ: Have you ever traveled to the historical sites involved in Bubbie’s tales? Seen the German’s “Holocaust” past or traveled to the locations she spoke about? LAZEGA: I did get the opportunity to retrace some of Bubbie’s steps through Nazi-occupied Europe when the whole Mishpucha (the whole extended family) went to France to receive a recognition from the French government at the national holocaust museum. One of the striking things that I hope leaps out in this book is that in places that today would read like a dream European vacation (Brussels, Paris, the French Riviera, Barcelona) people not long ago were running for their lives. It’s a tremendous testament to the power of change and also a powerful reminder that hate can happen anywhere if you let it. FQ: I do realize that you are a professional in a different line of business, but has the writing “bug” perhaps bitten to the point where we will one day see more titles from you? LAZEGA: Actually, Bubbie has really taken off and I have development funding to try to make it into a movie and multi-actor celebrity cast audiobook. So, fingers crossed...There’s more to come. FQ: If so, is there a genre you would be interested in exploring? LAZEGA: Yes, I’m a sucker for stories about family members that love you so much that it hurts (no,I mean really it hurts). So next up on deck is a Spanish-language romantic sit-com about a grande-dame Jewish widow who learns that her darling eldest son (whom she expected to dote on her until her dying days) has fallen madly in love with a humble immigrant girl from Guatemala and Mama hen will do whatever it takes to bring him back home. To learn more about Managing Bubbie please read the review at: Feathered Quill Book Reviews. Labels: Interview with Russel Lazega author of "Managing Bubbie"
There is a definition to adorable; this book. There is an explanation when it comes to learning something that all of us must learn; this book. Trust me, you do not need to be three years of age to enjoy this tale. All ages can get a very good lesson from this beautifully illustrated, funny, well-thought-out and well-presented story. You know as well as I do the word “dentist” does not bring about the same happy, loving feeling as, say, “puppy.” In fact, the dentist’s office has been seen by many as the least favorite place to ever go during your lifetime. BUT, going to the dentist and taking care of your teeth correctly from the time you are a little boy or girl is one of the most important things to do in order to stay healthy...and not have to show up at the dentist one day looking forward to wearing dentures and/or “gumming” meals for the rest of time. 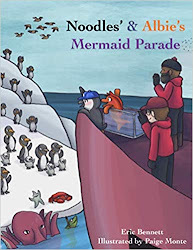 As stated above, this book is incredibly adorable, while showing all children (and adults) out there, how easy it is to brush and how important it is. The ‘battle’ between Flossopher and the evil Cavidorg is perfect for young readers; the names are perfect, and the illustrations are beautifully drawn. Adding on to the power and pleasure of this story is the fact that part of the sales of this book will be going to Smile Train (www.SmileTrain.org), which gives parents even more of a reason to buy this right away. Quill says: A perfect educational tool on a much-needed activity in life, wrapped in a cool story that kids will absolutely love! FQ: Blind Spots is quite a departure from your last novel, Finding Flipper Frank. Are you as comfortable writing a tangled web of a mystery as you are creating a light-hearted, fun travel adventure? GARRY: I’ve found that the characters and plot really drive the writing. So once I have characters that become compelling to me, and who find themselves in challenging or unusual circumstances, my writing seems to flow out of those characters and plot situations. If I have a character with a sense of humor, surrounding by other quirky or eccentric characters, then I seem to be able to sustain a novel with a humorous voice. But if the characters and plot are more tense or dramatic, then the novel becomes one with an intricate plot of mystery and suspense. FQ: Speaking of writing in different genres, you are a very versatile author, having written books (and articles) in topics as varied as law, religion & society, romance and crime mysteries. Does each genre offer the same challenges to you as a writer, or are they each distinctive in their challenges? GARRY: Yes, the different genres pose distinctly different challenges. My nonfiction books on law and religion require detailed and often academic-type research. But once the research is done, and an outline put together, the writing can be fairly straightforward as it follows this outline. A much different approach occurs with my fiction writing, where the writing cannot be organized ahead of time in a comprehensive or detailed outline. With fiction, I’ve found, the writing needs to accommodate the changes and developments with the characters. To get characters that come alive, the writing needs to be alive, in the sense that it has to be dynamic and unscripted. FQ: Did your law background help you in writing the sections of Blind Spots where you discuss city politics and the inner workings of the judicial system? GARRY: I think it did. You know the old adage: you should write what you know. I’m very familiar with law, politics and the judicial system, so it feels comfortable writing about those subjects. FQ: In the story, the gun, the twelve-year-old boy using that gun, the mystery of who gave the boy the gun – mesh into the current gun debate – a very hot topic these days. Since Blind Spots has just recently been published, I have to suspect that you were working on it while events such as those in Ferguson, MO, were unfolding. Did these events help shape the plot? GARRY: In a number of my other novels, social or legal events did influence the plots. Such events can prompt me to think of storylines or connections I might not otherwise have considered. Sometimes those events exerted a narrow or confined influence; other times the events had a rather profound influence on the direction of the novel. With Blind Spots, the rash of multiple-victim shootings in America did contribute to the background plot setting. In the novel, however, the focus turns not to the motivations of the shooter, but to an investigation of who provided the gun to that shooter. FQ: You used Camden, NJ as the backdrop for the initial murder that sets off the story. Why Camden rather than, say, New York City, or perhaps Los Angeles? GARRY: I’ve actually been to Camden several times. I’ve been invited to speak at the law school there on numerous occasions. So I had a feel for the city, and I thought it would make an appropriate setting for the novel. And I like situating a novel in locations other than the often predictable New York or Los Angeles. FQ: I found Milo Krantz to be a very interesting character – on the surface, a person who is reviled by his neighbors. But there is more there, and that’s what really grabbed me. Was he a fun character to create/write? GARRY: I’m glad you found Milo interesting. In a way, I was somewhat surprised how he developed as the novel went along. In fact, I liked him so much I am using a Milo-like character in the novel I’m currently writing. FQ: And speaking of characters, Judge Donna Davis...let me say that I cheered more for Milo than Donna. Typically the reader will root for the ‘good guy’ (the judge) but not so much in the case of Blind Spots. Was this intentional on your part? GARRY: I strive for multi-dimensional characters -- characters who are real. Characters who have what we all have – both good and bad sides. You’re right, on the surface the judge comes across as the good character. And Milo, the arrested suspect and slumlord rent collector, appears as the bad or unappealing character. But over time, we see the depth of Milo’s human side, such as his concern for the young girl and her dog. The judge, on the other hand, has a hidden side that seems absorbed with ambition, insecurity and selfishness. From the outside, the judge is the hero and Milo is the villain. But looking at the characters from their inside, Milo possesses a dignity and humanity that the privileged and wealthy judge does not have. With Milo, his rough exterior just seems to make his inner character all the more touching. FQ: In this day and age of quick ‘Law and Order’ one-hour court case dramas, where everybody wants the criminal brought to justice quickly, Blind Spots shows us just what can happen when the justice system pushes for a speedy resolution. Do you see this as an issue in today’s judicial system? GARRY: Good point. I don’t think I can put it any better than you just did. FQ: Finally, the title of the book, is it taken from ‘blind spots’ within the judicial system, ‘blind spots’ that we all have (as seen in the book through the eyes/actions of Detective Gunther Mulvaney) or perhaps from something else? GARRY: That’s a keen insight. Yes, I think the novel very much is about all the blind spots that can fill our individual and social fields of vision. We all know that the justice system can have blind spots. But our moral sense can also have blinds spots. Families can have blind spots to the needs of each other. Our memories can have blind spots too. So, in a way, life is all about trying to see past all our blind spots. 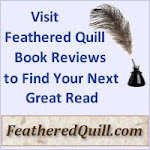 To learn more about Blind Spots please read the review at: Feathered Quill Book Reviews. Check them out! Here's the latest group of books to arrive for review. Murdock Rocks Sedona: A Matt Murdock Murder Mystery by Robert J. Ray Wealthy investors in Sedona, Arizona, are dropping like flies--more accurately, lead weights. They are falling down staircases and off mountainsides, decks, and hiking trails. With so many similar "accidents," the victims had to have been pushed. Other than their wealth and weakness for beautiful young women, what the falling men had in common was a financial interest in Sedona Landing, a historic hotel in Oak Creek Village. They also shared a long history with the chief investor, billionaire Axel Ackerman. Fearing that he too will plunge to his death, Ackerman hires Matt Murdock and Helene Steinbeck to investigate. During his climb to the top of the heap, Ackerman crushed scores of rivals and broke many hearts. The culling of his "Crew" of investors is clearly personal. So who among this crowded field of enemies would orchestrate such a byzantine scheme of revenge? To keep their client safe, Matt and Helene will have to be on their best game. Too bad their last case in Taos took such a heavy toll, particularly on Helene, and caused a rift in their fragile bond. S: Memoir of an Iconic Gentleman by Raymond S. Edge Everyone has a story a beginning a starting place. Although I am famous few know mine. Let me tell you where I came from and the journey I took to become the celebrity icon I am today. It is also an opportunity for me to set the story straight--on no occasion at any time in any place have I run over a grandmother. A Cluster of Cancers: A Simple Coping Guide for Patients by Dr. Sherry L. Meinberg This book brings a positive approach to the subject, showing how readers can participate in the healing process-alongside their treatments. It covers the gamut of selfhelp issues that cancer patients contend with (thirtyone subjects). Half of the quotes are by medical doctors and psychologists, while the other half are by experts in their fields or famous names. Supportive and encouraging, the practical suggestions provide a different slant from other cancer books as it is written by a cancer survivor. The Key, the Turtle and the Bottle of Schnapps by Phyllis W. Palm The author invites the reader to come along on an adventure. The journey is frightening and often sad. A 4,000 mile flight from evil aggressors will lead the reader from Frankfurt, Germany in 1938 to Tashkent, Uzbekistan in 1945. Ultimately, the family emerges triumphant, highlighting the resilience and the strength of ordinary people to overcome unimaginable challenges. The Tiniest Tumbleweed by Kathy Peach Everyone feels small or inadequate at some point in their lives. The Tiniest Tumbleweed is a story written to help children learn more about what they can do to become their best selves, despite whatever may be making them feel small or limited. The characters are two Sonoran Desert neighbors, a tiny tumbleweed and a baby house sparrow, who are both small for their age. Guided by the loving encouragement of their parents, they learn to work within their physical limitations to grow to be the best they can be, rather than measure themselves against others. As a result, they also learn how they can help one another, providing a lesson about the synergy between living things and the boundless opportunities those relationships provide. The proven psychological concepts for building self-efficacy combined with a children’s literature writing method that helps young readers believe in limitless opportunities are what make The Tiniest Tumbleweed unique. The connection between the characters in the book, a tiny tumbleweed and a sparrow, provides a fascinating look into the real-life desert relationship between tumbleweeds and birds. Following the story, a well-researched curriculum guide captivates young readers, helping them develop a deeper respect for nature. Two Birds and his grandfather stood in the grass as they hunted “for medicine plants high above their village.” The grasses shimmered, taking on the colors of the sky and the earth beneath their feet. In the distance they could hear the voices of the other boys as they raced one another. “Two Birds,” his grandfather suggested, “go join the other boys.” A racer he wasn’t and being last was never any fun. “U-lay-lay-lay-lay-lay-lay!” The voices were beckoning, but no, Two Birds wouldn’t join them. Two Birds was a shy boy and perhaps he’d one day join them, but not now. It wasn’t long before they heard a whimpering, a tiny voice that would change Two Birds’ life. What could that little sound be? It was a wolf pup, barely able to raise his head, who lay in the bottom of a hole. Two Birds wanted the pup and his grandfather agreed saying, “While the wolf spirit is powerful, this one may not live long.” Two Birds’ jaw was set as he leaned into the hole to take the pup. Would he live or was he just too small and sickly to make it? Two Birds would try and he took the wolf pup home and began to tend to it. The wolf pup did not go unnoticed and Gray Bear excitedly asked to hold him. No, not yet because he wasn’t “strong enough.” A promise was made and soon Gray Bear was allowed to hold him. Other boys clustered around, anxiously awaiting their turn. Two Birds had made a friend in Gray Bear, but he made an even stronger bond and friendship with his wolf. The wolf whispered to Two Birds, a shy boy who began to slowly turn into a storyteller. Life was good, but something was changing. The wolf was being pulled by nature, but would Two Birds be strong enough to set him free? Through the wolf Two Birds was able to learn many lessons, especially how to believe in himself. The tale is set 500 years ago, but the difficulties Two Birds was facing as a young boy will resonant with many children. The artwork beautifully captures the essence of Pueblo life and Two Birds’ tentative personality perfectly. In the back of the book are comprehensive notes discussing details of the Pueblo culture as depicted in the artwork and additional recommended books to explore. Quill says: This is a poignant tale of Two Birds, a young Pueblo Indian who was learning the ways of the world. Jordan Walsh is a woman in the midst of a man’s world. She is Renee Rosen’s star character in her latest work of fiction: White Collar Girl. Jordan Walsh has a tall order to fill. She comes from a family of reporters and wonders if she will manage to carry the baton forward as a revered reporter and add to the accomplishments of her family’s legacy. As she rides the elevator up to the buzz and chaos of the Chicago Tribune newsroom for her first day, her palms are sweaty and her thoughts scattered. Was she excited, nervous—or both? When the ding of the elevator doors snap her back to the moment, she realizes now or never has arrived. Her father had been a correspondent during World War II and prior to that, the Spanish Civil War—alongside Ernest Hemmingway of all people! Her mother was the daughter of a newspaperman during the war in Europe. Jordan’s brother, Eliot (named after her mother’s favorite poet, T.S. 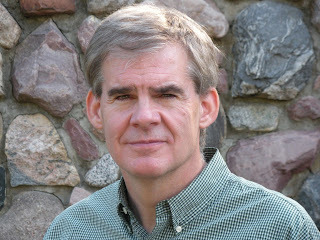 Eliot), had worked for the Tribune’s competitor: the Sun-Times. As she steps into the maze of desks with overflowing ashtrays and the staccato of typewriters, Jordan, receives her first dose of reality upon meeting with her supervisor. There will be no chasing down the bad guys for the proverbial ‘scoop.’ There will be no by-line on the front page. Rather, she will be the newest member of the ‘sob sisters’ and own (and know) her place. It is age-old and subliminally understood: men chase down the leads and write the sensational stories. Women write about fashion and recipes. This may have been the formula the Tribune presses had run on for many decades, but the Tribune never had a Jordan Walsh around to change up what was supposedly tried and true. Rosen takes the reader back to a time when women knew their place was in the home—rearing children and preparing dinner for their bread-winning man. The place is Chicago and the time is during the mobbed-up Daley years. Ms. Rosen paints a fascinating picture of what it must have been like to actually report the news versus today’s standards of ‘opinionating’ it. Her main character, Jordan Walsh, is a heroine personified in that she breaks the mold and blazes the trail; leaving ‘the little lady’ in her wake and introducing the fearless woman about to re-write the script. There is a tangible glory and electricity that surges in the way Rosen plays out the story with the backdrop of an iconic newspaper. Ms. Rosen creates connection by establishing scenes filled with great props be it overflowing ashtrays or the sound of the constant clickety clack of electric typewriters—all fueled with the momentum of reporters accurately capturing the almighty ‘scoop.’ Ms. Rosen resurrects the respectability of what it must have been like to report the news and do so without personal bias and political correctness and emphasizes the sacred covenant of protecting the source no matter what. Simply put, Ms. Rosen has nailed a terrific story that will surely have her audience throwing sparks given the speed they assume at the turn of each page. I’ve had the pleasure of reading former works written by Ms. Rosen and once again, she does not disappoint! 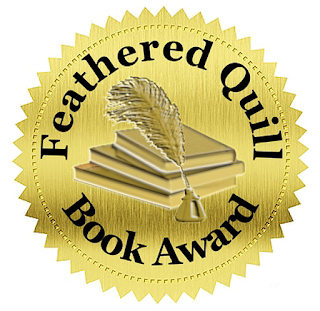 Quill says: White Collar Girl may be fiction, but it sure pays homage to what it meant to report the news and do so honorably! We lose count each day of how many times we speak, write down, and even think about our words but the language we use had to be developed. Why do we say things in a certain way or in a certain tone? What exactly is a word and what gives it meaning? These are all questions language developer David J. Peterson asks himself as he creates the languages for some of TV’s most popular shows and movies that include Thor: The Dark World and his most recent and ongoing project the language of Dothraki in the HBO series Game of Thrones. With pressure coming from the producers of the show and the expectation of the fans, Peterson is constantly developing his language creations to make them genuine and true to the characters. In The Art of Language Invention, Peterson goes through the steps to inventing a language and bringing it to life. As he does, he shows that there is so much more to a language than simply just the words. Peterson explains that the tone, interpretation, the harshness or softness in which a word is spoken can be just as important as the word itself when developing a language. Slowly over time, the pronunciation changes or even particular words take on a different meaning as the current generation finds a new way to use it. For example, the word “sick” in today’s society can mean something that is cool or fun, when in the past it only defined when someone did not physically feel well. This ongoing subtle change in every language over time is what makes developing a new language so challenging because the task of the language creator is to make each word sound as if it’s been used for years. There were many aspects of language that Peterson brought to life in this book that I would have never thought of before and there were parts in this book that were interesting to read. However, I was disappointed that there were not more examples of how the languages were developed in some of the famous works over the years. When I picked up this book I initially thought that it would take me through the languages of books such as J.R.R. Tolkien’s Lord of the Rings or the many alien languages heard in the Star Wars series, because of course I am a complete book nerd and anything I can learn about my favorite sci-fi/fantasy stories is wonderful. Even though Peterson does give the reader a small glimpse into some of these famous languages I found that this book was much more about the nuts and bolts of developing a language. There were some interesting parts but for me I found myself becoming bored with the writing, just for the simple fact it was not what I expected. For anyone who is serious about coming up with their own language it would be extremely valuable but as a fun read this book fell short for me. Quill says: An informative book for language enthusiasts but nothing too exciting for those simply interested in learning more about the many languages developed for their favorite sci-fi/fantasy books/movies. Charlotte Rae can add writer to her accomplishments as she treats her fans to her poignant memoir: The Facts of My Life. Andy wasn’t like most boys. He was born with Autism. Of course, such diagnosis was well before its time given it was the 70’s. Charlotte and her husband, John, had no idea how to cope with the unpredictability of it all, yet even though they knew something wasn’t right with their beautiful child, he was still their child and they loved him deeply. As archaic as it is to fathom, as recent as the 70’s, the medical profession believed the best course of action in such cases was to institutionalize the child for his own good as much as for the sanity of the parents. Ms. Rae, however, knew there was so much more she could do for her son. After such a compelling opening, Ms. Rae steps the reader back to her own childhood. She emphasizes the love, warmth and stability she had growing up in the Midwest—Milwaukee. She is cocooned with the love of a mother, father and two sisters and grew up in a time when innocence and boundless love resulted in a connected family. Ms. Rae wasn’t always ‘Charlotte Rae’; she was Lubotsky. Years later, when she secured her place on screen, the first thing ‘Hollywood’ decided to do was discard that last name—hence, Charlotte ‘Rae’ had arrived. For the next 250+ pages, the author takes the reader on a journey of tremendous accomplishments on stage as well as on screen. She touches upon bittersweet moments that are periodically counterbalanced with equally disappointing outcomes. Charlotte Rae has treated her audience to the inner sanctum of her very public life. There is no over-the-top prose that is peppered with fancy soliloquies, nor braggadocious affirmations of just how superbly great she truly is. Rather, there is the soul of a woman who has walked through her journey of real life in spite of her fame. At the end of the day, I believe the absolute motivation Ms. Rae had in penning her memoir was to share her story of an interesting life filled with highs as much as lows and a balance throughout of what her purpose was meant to be: to live her life to its fullest. There is a tone that is set at the inception of this read that says: ‘this is my life and what a glorious life it has been.’ There are positive affirmations to take away from the many facets of peaks and valleys and I applaud Ms. Rae for staying true not only to herself, but to her intended audience as well. 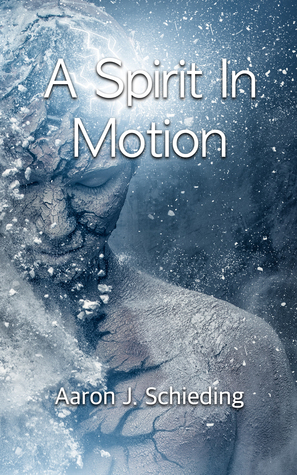 This is an inspirational read that contains not one ounce of scandal or embellishment. Ms. Rae rightfully owns the recognition of the accomplished actress she is and I thank her for penning such an enjoyable and captivating read. She didn’t have to share her life with strangers, but she did. Bravo Ms. Rae for yet another stellar performance! Quill says: The Facts of My Life is a genuine diamond in the ‘rough’ of Hollywood! Check them out! The newest books to arrive for review! Sending out to reviewers now - reviews will be posted in a few weeks so be sure to stop by soon to read the reviews. The Art of Language Invention: From Horse-Lords to Dark Elves, the Words Behind World-Building by David J. Peterson From master language creator David J. Peterson comes a creative guide to language construction for sci-fi and fantasy fans, writers, game creators, and language lovers. Peterson offers a captivating overview of language creation, covering its history from Tolkien’s creations and Klingon to today’s thriving global community of conlangers. He provides the essential tools necessary for inventing and evolving new languages, using examples from a variety of languages including his own creations, punctuated with references to everything from Star Wars to Michael Jackson. Along the way, behind-the-scenes stories lift the curtain on how he built languages like Dothraki for HBO’s Game of Thrones and Shiväisith for Marvel’s Thor: The Dark World, and an included phrasebook will start fans speaking Peterson’s constructed languages. The Art of Language Invention is an inside look at a fascinating culture and an engaging entry into a flourishing art form—and it might be the most fun you’ll ever have with linguistics. The Organ Broker by Stu Strumwasser The Organ Broker is the thrilling story of an underground black market organ dealer known as “New York Jack.” For eighteen years Jack has been a “transplant tourism director,” sending wealthy Americans and Europeans in need of kidneys and other organs to third world countries where they would buy them from transplant centers on the take. The death of a client and a newfound relationship lead to a crisis of conscience as he is forced to choose between a two million dollar commission—and participating in a murder. Jack races to South Africa, Brazil, and beyond, just one step ahead of his adversary and the FBI, in search of one small act of redemption. As a disaffected youth in the late eighties, Jack Trayner entered the criminal world, selling coke when he needed money to pay his way through college. Although he later graduated from law school, an opportunity to earn easy money eventually seduced him into the bizarre and illegal black market for organs—a business that some consider horrendous and a small number of others deem to be heroic. The dual nature of this business assuaged Jack’s guilt and allowed him to flourish, yet the death of a client makes what he is doing all too real. The Organ Broker represents Jack’s confession. Still Time by Jean Hegland Until John Wilson met the warm, wise woman who became his fourth wife, the object of his most intense devotion had always been the work of William Shakespeare. 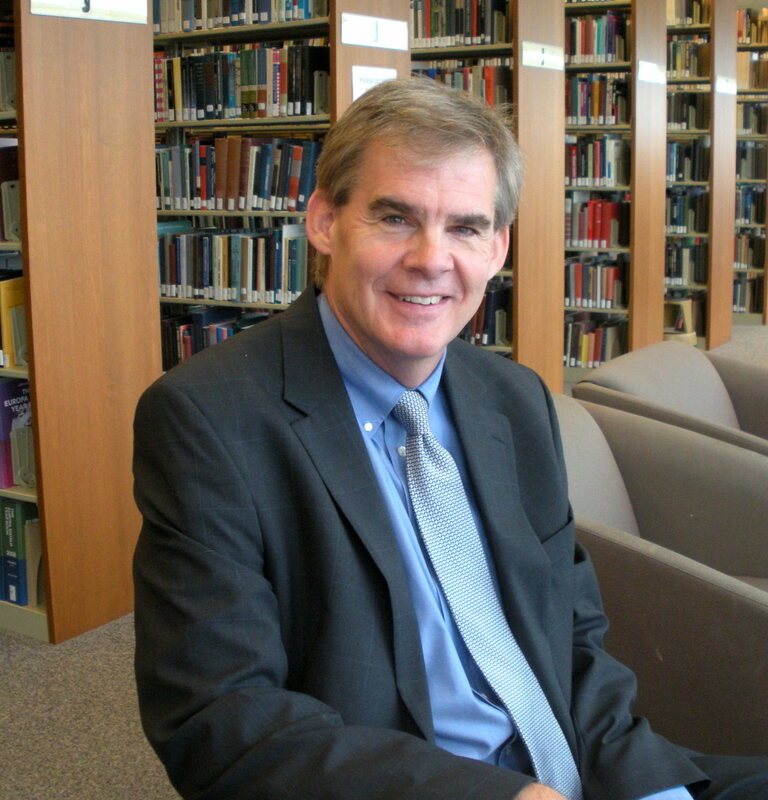 From his feat of memorizing Romeo and Juliet and half a dozen other plays as a student to his evangelical zeal as a professor, John’s faith in the Bard has shaped his life. But now his mental powers have been diminished by dementia, and his wife has reluctantly moved him to a residential care facility. Even there, as he struggles to understand what’s going on around him, John's knowledge of the plays helps him make sense of his fractured world. Yet, when his only child, Miranda—with whom he has not spoken since a devastating misunderstanding a decade ago—comes to visit, John begins to question some of his deepest convictions. In his devotion to Shakespeare, did he lose his way? Did he wrong the child who wronged him? The story of an imperfect father and a wounded daughter's efforts to achieve some authentic connection even now, Still Time celebrates redemption and the gift of second chances. It is that rare novel that ends on a resounding note of hope, reminding us that there is always time to live fully and love deeply, so long as we are alive. Tails from the Booth by Lynn Terry f dogs could take selfies, it might look something like Tails from the Booth. For this adorable collection of photographs, Lynn Terry draws on more than twenty years of professional photography experience to capture the most endearing moments between canine companions: A couple of pitbulls grinning widely at the camera. Two saggy-faced bulldogs bumping jowls. A Pomeranian, an English bulldog, and a Boston terrier dog-piling (of course) on top of each other. These pictures show the countless ways dogs will ham it up in front of a camera, and that more dogs in a photo booth = even more fun! Twenty-One Heroes by Sam Forman Inspired by the 21 graves of soldiers who died at the Continental Army’s encampment along the Delaware River, author Sam A. Forman pays tribute to these anonymous young heroes by capturing the essence of their experiences during the Revolutionary War. The formative trials of America are mirrored in the personal choices of the three main characters. Outspoken Katherine supports the patriot cause with conviction, intelligence, and poise, inspiring the respect of many and the affections of two college students—Ezra and Joshua. While fighting, disease, and unrest surround them, these young people suffer the additional pains of heartache and the longing of true love. Combining historical facts with modern sensibilities, Forman creates an engaging tale of adventure and romance. The Hundred Gifts by Jennifer Scott With the holidays around the corner, empty-nester Bren Epperson realizes that for the first time in decades, she has no large family to cook for, no celebration to create. So she starts teaching a holiday cooking class, and it’s a hit—until Virginia Mash, the old lady upstairs, bursts in complaining. Rather than retaliate, Bren suggests that the class shower Virginia with kindness—and give her one hundred gifts. So they embark on the plan to lift a heart. Along the way, amidst the knitting and the making and the baking, they’ll discover the best gifts can’t be bought and family celebrations can be reborn. Apartheid is more than a word. It is a tragedy that leeches into the essence and potential of a being and usurps hope. Fiona Sussman does more than touch upon this premise in her bittersweet debut novel, Another Woman’s Daughter. Fiona Sussman has an impressive resume. She may have the credentials of a doctor, but her soul of a writer is portrayed through the penning of her debut novel: Another Woman’s Daughter. There is a raw and innocent voice that resounds across the pages of this first novel. It beckons the reader to listen carefully and feel the sadness and tragedies born out of Apartheid. There is a melancholic allure to the beautiful prose Ms. Sussman assembles as she sets the stage for a believable exchange of dialogue time and again in this read. Sussman establishes an instant connection with her audience—specifically for anyone who has lost something so precious and has made it his/her life’s mission to get it back. I applaud Ms. Sussman for not painting a premise of contempt given the topic. Rather, she delivers a reality of a situation and happenstance that is a way of life even in modern times. I have never been to Africa, yet the glory and splendor of the scenery Ms. Sussman manages to capture through descriptive passages takes the reader right into the moment. Bravo Ms. Sussman. It is abundantly clear you have found your calling in life and I look forward to the privilege of reading your next novel. 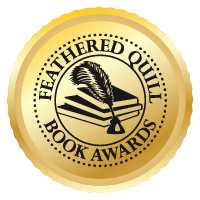 Quill says: Another Woman’s Daughter is a story that will pull at the reader’s heartstrings in one moment as much as it will have you cheering for the victor in the next. Jayne Ann Krentz professes: ‘...it all started with a title...’ and her vision of her latest book, Secret Sisters,’ unfolded! With more than a handful of failed relationships, Madeline refused to connect that fateful night so many years ago with her avoidance toward intimacy with her therapist. She was only twelve when that man attempted his brutal attack on her. Thankfully, Daphne Knight was there—her bestie, her ‘secret sister.’ Nobody ever knew what happened to that man—nobody except her grandmother and Aurora Point’s caretaker, Tom Lomax. Madeline knew. When she returned to Aurora Point, she stood before the gazebo allowing the horrible memories of that night to flood her mind once more. She trusted no one, but had no choice but to bring Sanctuary Creek’s resident investigator, Jack Rayner along for the journey. Jack was different—trustworthy and this was something Madeline couldn’t grasp. When Madeline enters the long-since abandoned hotel to meet with Tom, she is horrified to see him at the foot of the grand staircase in a pool of blood. She is not alone and has mere minutes to seek refuge before she too becomes a statistic. Perhaps this was a sign that Madeline should have paid closer attention to. Maybe the secrets of the past should have remained as such, but it was too late to turn back now. Jane Ann Krentz’s library of titles spans a full two pages in the preface to this latest title, Secret Sisters. I have not read any previous titles by this author, but must say she has put together a terrific formula when it comes to producing a fast-paced, enjoyable mystery. Her characters are credible and the plot is engaging. She takes the reader on a journey back to fill in the blanks of the past and connects them with the present; answering the void of unanswered questions in between. The length is perfect in that the story doesn’t stall with too much prose, nor bog down with nonsensical pontification of pointless dialogue. Ms. Krentz’ style portrays an author who has confidence and discipline through succinct delivery getting the story down and establishing pace with constant movement forward throughout the read. This story has a nice balance of romance and suspense and wills the reader to continue his/her job of turning the page to determine not only ‘who done it,’ but does the guy get the girl in the end? Well done Ms. Krentz. I must go back and read some of your earlier titles! Quill says: Secret Sisters is a cozy read that is the perfect match with a lazy do nothing, Saturday afternoon.